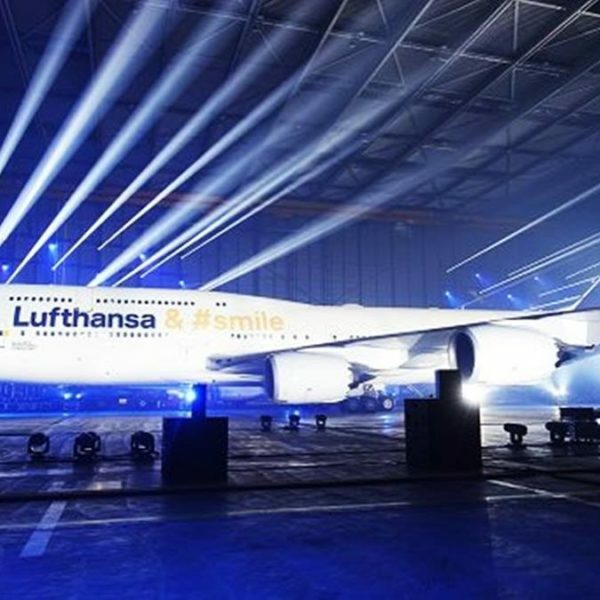 Lufthansa, Germany’s largest airline, celebrated its 100-year legacy with the unveiling of a brand new logo. 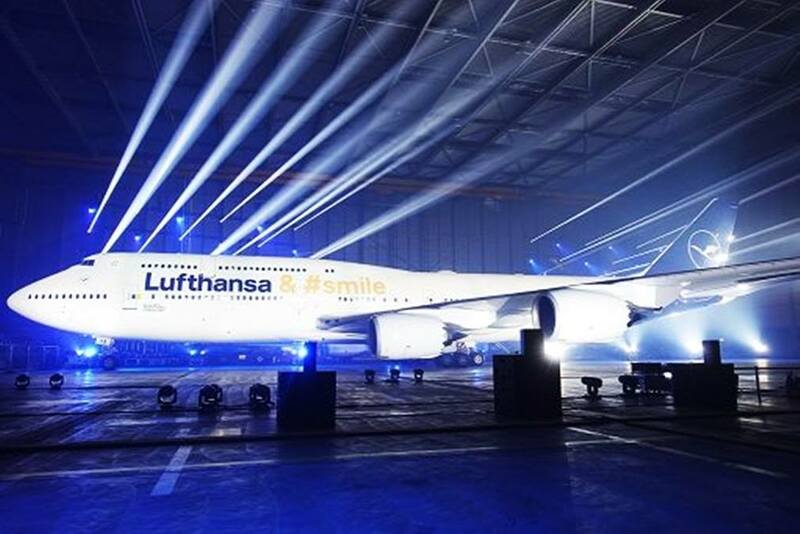 Over a dozen Christie® Pandoras Box media servers were part of Lufthansa’s 100th anniversary celebration that also introduced a new logo for the airline. Over 3,000 attended the event at Frankfurt Airport and witnessed the famous yellow crane logo change to white with a blue circle around it. 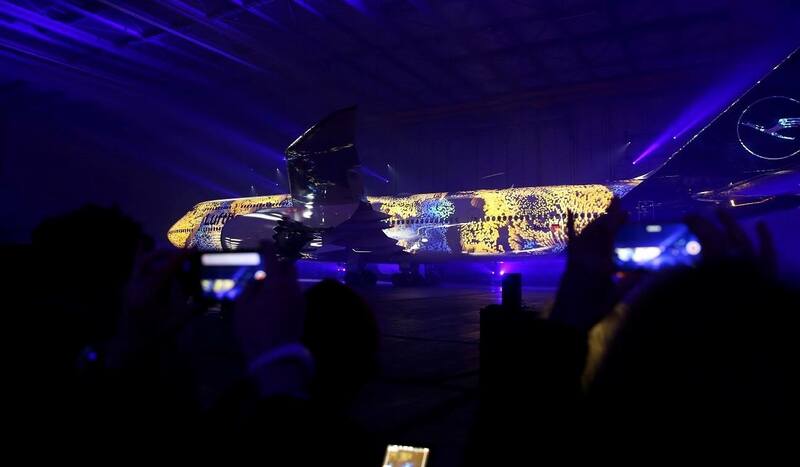 Christie Pandoras Box ensured a perfect feed for the projection mapping onto a Boeing 747-800, the first Lufthansa aircraft with the new design. The show and projected content were designed and produced by Stein Communication GmbH. The entire concept, consisting of the video mapping with corresponding light and sound effects, a 600 square meter (1,969 square feet) LED sky, soundscapes and various interactive elements, made a major impact on the audience. “The content of the 20-minute video shown on the aircraft was produced completely in 3D. 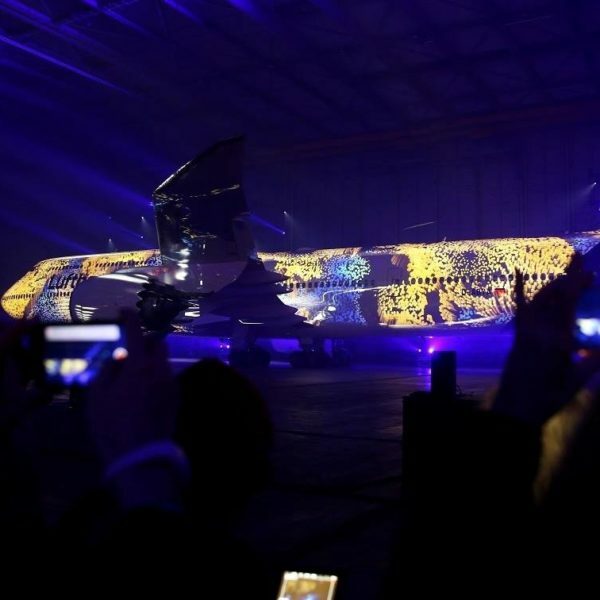 The video installation was designed completely from scratch for the architecture of the airplane hangar and it was certainly a highlight for the guests,” explained Matthias Vogel, managing director, Stein Communication GmbH. For technical support, Stein Communication enlisted Christie partner pixl evolution Ltd., under the supervision of Patrick Verhey, Director of Creative Media. The company was responsible for planning and consulting for the entire 3D workflow, server environment, and mapping. For the content feed, they chose Christie Pandoras Box. “Despite the extremely short preparation time in comparison with the scope and size of the technology installed, the event was a complete success – as you could easily tell from the beaming faces of the guests,” Vogel concluded.